Hillman's Bailey Schook delivers a strike during the Tigers' first home softball game of the season. 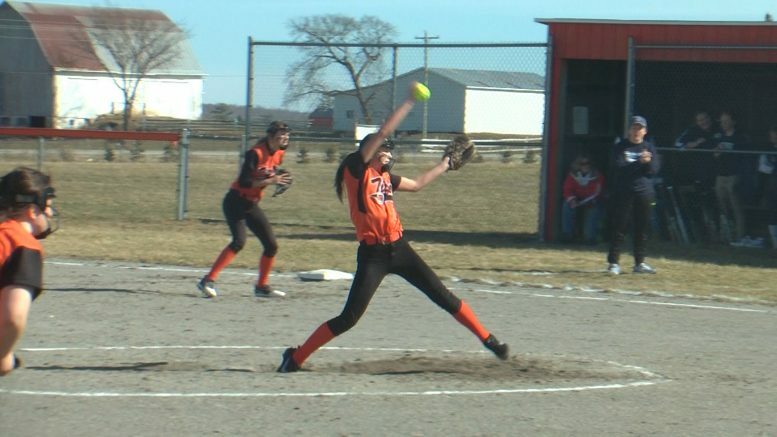 Hillman, Mich — Both the Tigers baseball and softball teams played their first home games of the season against the Gaylord St. Mary’s Snowbirds. The lady Tigers swept GSM winning 8-4 and 16-7. Baseball wasn’t as lucky. They fell 6-2 and 9-2. Both teams play at home against Pellston on Wednesday.